Xia LIU, a 38-year-old woman, and Ji Shun LI, a 33-year-old man, were killed by drowning at Ruapuke Beach on Christmas Day. “Both parties were Chinese nationals who had been residing in Hamilton on work visas working on a large scale engineering project, police said. 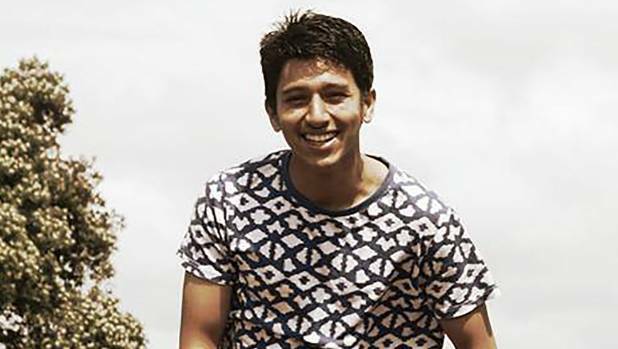 The body recovered from the surf at Mt Maunganui on Monday (28 December 2015) has been identified as that of a young Nepalese student Pawan Kumar Khadka, police said. RIP. Nepalese student Pawan Kumar Khadka, 22, from Nepal, survived the earthquake, only to be killed in the Deathland. An Australian man was killed “during a routine gardening job on the West Coast”, just three weeks after arriving in the country. A Samoan toddler, 3, a Chinese couple, a female Briton and at least one other foreigner, 22, have been killed by drowning (on the water) in NZ since Friday. A Samoan family who moved to New Zealand last month in search of a “better life” are instead mourning the loss of a son, aged 3. His body was found by his uncle about an hour after he was last seen. RIP. Jimmy Atilua Laulu, 3, drowned in a lagoon at Ocean Beach near Hastings on Christmas Day. His family recently moved to NZ, in search of a “better life (! )” Photo: Supplied/ via nzherald. He is one of at least eight people killed by drowning (on the water) since Friday including a female Briton, two Chinese visitors and another foreigner, aged 22, whose ID has not been released. “They didn’t see him but have located some clothing on the beach that more than likely belonged to him,” police said. Police operation “secret road deaths” – 200 roads crashes and only one fatality? The Australian woman who was killed in a fall at Aoraki Mt Cook National Park yesterday (23 December 2015) has been named as 28 year old Nicola Anne Andrews from Melbourne. RIP. Nicola Anne Andrews, 28, an Australian engineering student, was killed after falling 300 metres onto a glacier while climbing in New Zealand’s Mt Cook National Park. 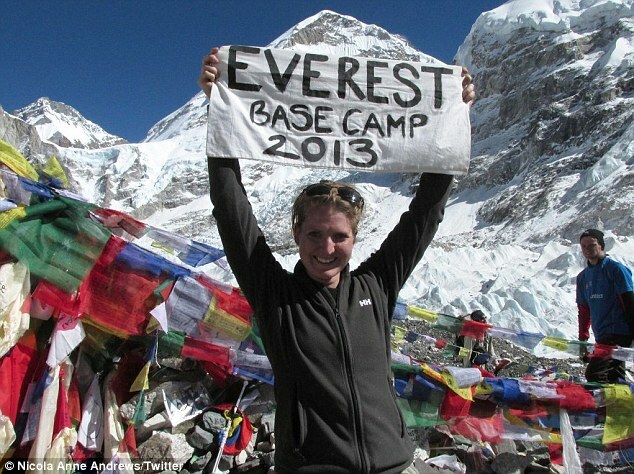 Two years ago she climbed to Everest Base Camp. Last week, two divers, possibly overseas visitors, were killed near Wellington. Diver found dead off Wellington coast A scuba diver has died off Wellington’s south coast. RIP. 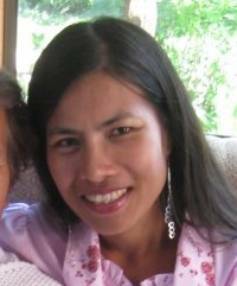 The body of the 37-year-old Bua-Ngoen Thongsi was recovered by the police dive squad about 100 metres from her last known position on 10 February 2015. The Thai woman never resurfaced while diving for crayfish. Three kiwi paedophiles have been arrested and convicted following an international operation to identify individuals involved in the distribution of child abuse material on the internet, police said. The operation was launched in July 2014 and was led by the FBI-led Violent Crimes Against Children International Taskforce (VCACITF). The three kiwis faced charges of Distributing and Possessing Objectionable Publications. “The trade in child abuse images is a serious criminal offence that victimises and revictimises our most vulnerable members of society,” said a policeman. VCACITF was established in 2004 and now includes 67 investigators from 44 countries who work closely together to coordinate complex multinational investigations. Helen Clark is at it again! New Zealand’s ranking as the nicest country in the world to live has slipped [probably to dampen suspicions of institutional corruption within the U.N. ] to ninth position, equal with Canada and behind the United States. However, the sheepland still remains in the top 10, by hook or by Helen Clark. The annual Human Development Index (HDI), released by the Helen Clark-led UN Development Programme this week, ranks 188 countries according to life expectancy, education and income or standard of living (See below). Back in 2008 and 2009, New Zealand was languishing in 20th place, but that suddenly changed in 2010 after ex-NZ Prime Minister Helen Clark took over (March 2009) as the Administrator of the United Nations Development Programme, and changed the calculation methods. How Reliable is the HDI? Norway is the nicest country in the world to live, for the 12th year in a row, according to the HDI ranking. However, it has the “the second-highest rate of deaths by drug overdose in Europe – 70 per million, compared to a European average of only 16 per million. Only Estonia has a higher rate, and that is dropping,” said a report. Although New Zealand ranks 9 by HDI, the country is 32 by Gross National Income per capita and 32nd on the gender inequality index, said a report. Further, New Zealand has one of the highest, if not the highest, teen suicide rates among OECD countries. And the ranking follows a New Zealand Children Commissioner’s report suggesting that poverty in New Zealand is far worse now than it was in the 1980s, a report said. And the United States? Every year some 32,514 people including 2,677 children die from gun violence. And it takes just an email to paralyze a major city the size of Los Angeles with 14 million inhabitants. Isn’t it time to audit Ms. Clark’s activities and hold her accountable for the wanton waste of public funds? Firefighters initially said they were called to a cardiac arrest. “Unfortunately the advanced paramedics weren’t able to revive the patient. Our condolences go out to the family,” Silverdale senior firefighter Don McErlich said. Police had delayed making comment on the death, initially saying they were still trying to locate the boy’s immediate next of kin. He confirmed police had carried out a scene examination. Earlier Nick Denz, a builder working on site nearby, said he was just leaving the Whangaparaoa community on Wednesday afternoon when he heard of the death from a fellow builder. He said the builder had rushed to help the boy’s family and he had provided CPR. 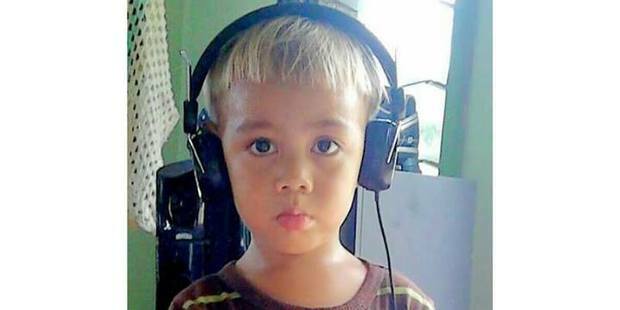 Denz believed the boy’s head had been crushed possibly in a lift shaft and his comments had been widely reported. Police would not confirm if that was correct however. Who, what killed Rutger Hale? Why? 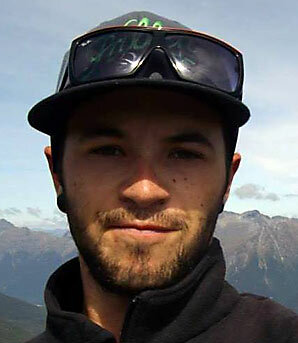 Coroner Richard McElrea was told an object, potentially similar to a cannonball, flew at high speed through Hale’s front windscreen and smashed the 22-year-old’s head before flying out the back windscreen as he drove to work, between Lake Hawea and Wanaka, on October 24, 2013. Girlfriend Danielle Oylear, who was in the front passenger seat when the object hit, spoke of a white ute travelling toward them before the crash. The driver appeared to have taken a corner too wide and entered their lane for a short time, she said. She then recalled something about the size of a tissue box or brick, and beige in colour, “rocketing” towards the car. Initially believing someone had thrown something at them, she now believed it had come off the back of the white vehicle. That someone did something intentionally that led to Hale’s death could not be ruled out, said Detective Senior Sergeant Malcolm Inglis. “Until we know the full story about what killed him, it’s an open case,” Inglis said. Hale, 22, died on October 24, 2013 as he was driving with girlfriend Danielle Oylear on State Highway 6. That object, which was made of, or contained fragments of common-grade stainless steel, has never been found, and the experts cannot agree what it was. However, the US Army materials and manufacturing science branch specialist technicians worked with the New Zealand Defence Technology Agency and concluded the object was unlikely to be made of solid steel or similar high density material. It “had a reasonably sharp corner”, their expert said. Rutger Hale and his Alaskan partner, Danielle Oylear, had earlier returned to New Zealand after a road trip around the US. They were living in Hawea and working at Devon Dairy Farms. The tourist who was killed in a violent crash involving three cars north of Tauranga at the weekend has been named by the police. She was Jee Yang Chu, a visitor from Malaysia. The fatal three vehicle-crash occurred near Katikati about 3.30pm on Sunday, and left four others seriously injured. We are still waiting for police to reveal identity of the victim(s). The latest known fatal crash occurred Sunday afternoon near Carterton raising the weekend’s road toll to at least seven, with more than a dozen others seriously injured. A man had been “flung from the car and suffered significant injuries that proved fatal,” according to a report. Earlier on Sunday, in the Bay of Plenty [of Deaths,] one person was killed and four others were injured in a two car crash on SH2 near Katikati. “Five people” were taken to Tauranga Hospital, said St John’s ambulance. A person was killed and two others were seriously injured north of Kaitaia, in the Far North District, when a four-wheel-drive ute crashed into a paddock about 9.30am, according to a report. 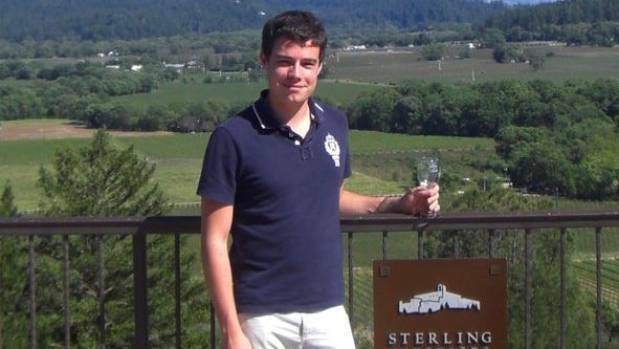 A 19-year-old British man was killed after he was allegedly “flung from his car” near Mangakino in the central North Island. Three other road-murder victims, David James Hills, aged 22, Michael Soo, 23, and Jessie Nicholson, 23, were killed when the car they were in collided with a container truck and became squashed under the cab, Saturday afternoon. 24-year-old Justine Margaret ANDERSEN, was killed in a fatal crash near Tauranga on 6 December, police said. Kevin Raymond AMBLER was killed in a crash on 10 December on SH25/ the Thames Coast Rd.